A growing proportion of all career openings are now being filled by recruiters finding and approaching their ideal hires online. Correspondingly, fewer roles are being filled via advertising, which means that the next time you want to change jobs you can’t rely on finding and applying for jobs yourself. Consequently – and irrespective of whether you are actively considering a career move – to be in the running for the best positions you have to have a Linkedin profile that will be found by recruiters and that will quickly win them over when they find it. This blog is aimed at providing quick wins to help you craft a LinkedIn profile that will get noticed by recruiters and will make you stand out as a strong candidate. The backdrop to this is that LinkedIn have changed the site in ways that impact you as a candidate, including standardising the layout of LinkedIn profiles. This has elevated the importance of certain elements of your LinkedIn profile, whilst demoting others. Here’s everything you need to act on to achieve those quick wins. There’s one part of your LinkedIn profile that will be seen more than anything else. That’s the combination of your name, photo and headline – as appears at the top of your profile page. Take a look at your LinkedIn home page and you will see that this is the information you are presented with whenever someone shares an update from their account. It’s also the information that appears most prominently whenever someone does a search for people on LinkedIn. Because of this, it is absolutely critical that you do a great job here. LinkedIn’s own stats show that users with a photo are likely to receive 9 times as many connection requests as those without a photo. But don’t just use any photo, pick a suitable business picture – and we’d recommend one in which you are smiling / looking positive. The importance of the LinkedIn summary has long been overlooked by the majority of candidates. In the context of recruitment, a recruiter may have to look through several hundred LinkedIn profiles to pick out the shortlist of people they want to invite to interview. Simple maths tells you that they don’t have the time to read every one of those profiles from top to bottom, so impressions are going to be formed quickly based on the first things someone reads on your profile. That’s why your summary section is so important. With the new LinkedIn layout, there’s an additional factor to consider. Only the first couple of lines of your summary are shown by default and the reader then has to click to read more. Hence it’s particularly important that your opening lines do a great job of enticing the reader to want to know more about you. Asides from that, try to focus on including as many facts, figures, achievements and brand names in your summary – essentially things that quickly convey to a recruiter what a strong candidate you are. Note that with the new profile redesign, LinkedIn have also put your LinkedIn activity centre-stage. Articles that you publish on LinkedIn are very visible on your profile, as they were before. But now, even your regular activity is highlighted on your profile page – so updates you share and things you like and comment on now come to the fore. So when in career change mode, be savvy about the things you do on LinkedIn as you need to appreciate that these notifications are also appearing on your profile page and influencing that all-important first impression. There are two things to note about the experience section on the new look LinkedIn. Firstly, your most recent experience (job) is displayed in full on your profile. So it’s important that this section in particular is carefully crafted. The rest of your experience is only shown in headline form, meaning that people can see the jobs you’ve held, the companies where you held them and the dates when you held those positions. One suggestion here would be to reword the job titles you held to make them more enticing for the reader. Just as with your LinkedIn headline, as per the example above, add a little more detail and intrigue so that this section doesn’t just read like a list of your past job titles. Of course, what you’ve done in your career and can talk about at interview is going to be key to your success. But when it comes to getting an interview, what other people say about you is also key. There are two things to note. Firstly, the new skills and endorsements section gives recommendations from other LinkedIn users a much greater prominence on your profile page (where previously they were anchored near the bottom). If you haven’t taken the time to seek written recommendations from your previous employers, peers and clients, then now is the time to do so. Other people saying that you are talented and a pleasure to work with is very persuasive, far more so than anything you might say about yourself. Linked to this, don’t overlook endorsements. Whilst these have always been viewed with a little suspicion (since they can be so easily given), it should be noted that recruiters on LinkedIn can choose to search for candidates based on the skills listed in the skills section. It is therefore well worth your time insuring that the skills that are most important for the roles you would want to secure are included in this part of your profile. Note also that you can change the order these skills appear on your profile – and it’s only the top three skills that are given visibility without the reader having to click to view the full list. So choose those three wisely. At the bottom of your profile you will also see a section that highlights other pages that you are following. Whilst it’s a small detail, the graphical element of this means it stands out on the page. You should check out what appears here on your own profile, as you wouldn’t want anything here to give people a reason to question whether they should contact you. Last but not least – and unrelated to the recent LinkedIn changes – we have to stress the importance of keyword optimisation if you want to be noticed by recruiters. The overwhelming majority of professionals have omitted significant numbers of the most important sector-specific keywords from their profile. This is the difference between you regularly appearing in recruiters’ searches and frequently being overlooked for roles because you simply never appeared in the search results. It can’t be stressed enough how important it is that you address this last point as a top priority. 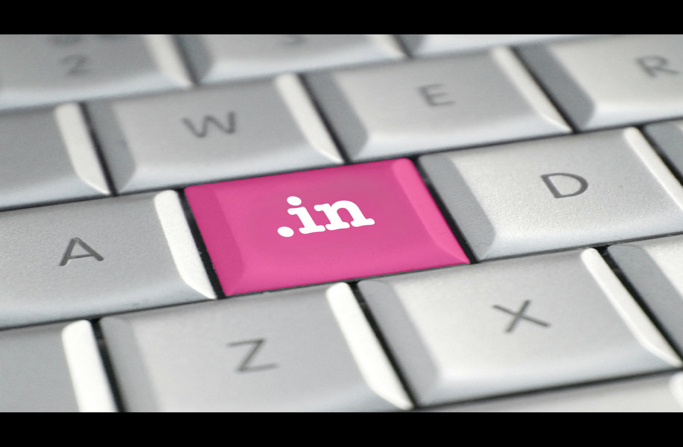 We hope these ideas leave you feeling more confident in crafting a winning LinkedIn profile. If you’ve experiences of your own to add, please do comment below – and share via social media to help others in your network who may be job hunting right now.